Anyone can become an Urban Birder. You can do it anywhere and any time, whether you've got the day to spare, on your way to work, during your lunch break or just looking out of a window. Look up and you will see. 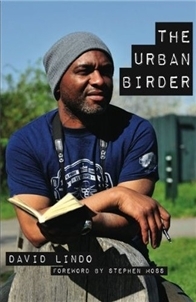 The book is an inspirational look at the birdlife in our cities, or more accurately, the author's personal journey of discovery involving encounters with racism, air rifle-toting youths, girls, alcohol, music, finding urban wildlife oases and of course, birds. His story is entertaining and sometimes controversial, but the one guarantee is that the reader will be left feeling inspired enough to pick up a pair of binoculars and head to the nearest park.